Get the laughs you need when you step into one of the best NY comedy clubs. Don't know what those clubs are? Well, you're in luck. Open up this guide and find the best locations hosting the funniest comedians around. There won't be a dry eye in the house. You'll be laughing so hard it'll bring you to tears! NY comedy club open 365 days a year! Caroline’s comedy club in New York brings laughter to locals and tourists 7 days a week, 365 days a year. If you are looking to see the best standup comedians perform, Caroline’s is where you need to be. The club seats 300 guests who will get to enjoy a few drinks while seeing the most well-known comedians there are to offer. 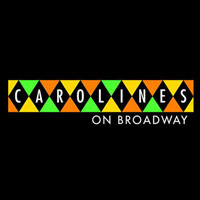 Caroline’s has become one of the country’s top comedy venues and destinations for live entertainment. You do not want to miss out on this comedy club. Check out their website to see what the upcoming lineup is. If you are looking for a night filled with laughter, Caroline’s is the club for you! 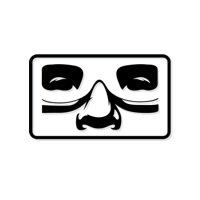 The Broadway Comedy Club is one of New York's best comedy clubs, featuring standup comedians from Comedy Central, Late Night with Jimmy Fallon, The Jimmy Kimmel Show, and more. The best comedians perform at this club. 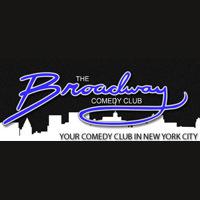 Improv groups also perform at The Broadway Comedy Club. Do you think you are good enough to be a big time comedian? Participate in the open mic where guests have the opportunity to test their standup skills. Comedy classes are available so call today to see when they take place. New York has so much to offer in the way of comedy. The Broadway Comedy Club truly offers the best of New York standup. A retro club seating over 130 guests, the EastVille Comedy Club is a New York based comedy Club. The EastVille Comedy Club prides themselves in presenting the funniest comedians and creating a great environment for their guests. The EastVille Comedy Club features the most experienced comedians who have been in TV shows and movies. Comedians that have been featured at this club include, Louis C.K., Aziz Ansari, Sarah Silverman, and more. Each comedy show lasts around 1 hour and 45 minutes. This is an all age club and non-alcoholic drinks are served to minors. Food is also served during the shows. 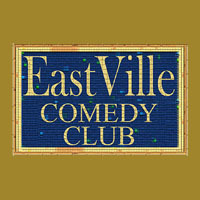 Comedy classes and open mic nights are hosted at the EastVille Comedy Club. Go to their website today to view the schedule of acts! No amateurs, professionals only. Featuring the best of the best comedians, Dangerfield's is one of the best comedy clubs in New York. You will only find the best comedians who have performed in the best clubs, movies, and TV shows. Special guests such as Jim Carrey and Chris Rock will make surprise appearances from time to time in addition to the scheduled acts. A full beverage and food menu is available. Dangerfield's is open 7 nights a week so everyone has the opportunity to stop by. Voted the #1 comedy club in America, Dangerfield's is a must! Call today to find out what the lineup will be during your next visit. You will feel as though you have gone back in time to the 1920s as you enter this New York comedy club. 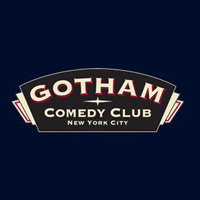 The Gotham Comedy Club is one of the best comedy clubs in NY inspired by the theaters of the 1920s. Here you will get to see some of the hottest comedians perform standup as well as some of the newest comedians to hit the scene. The Gotham Comedy Club has become the backdrop for several movies and TV shows. Come see some of your favorite acts such as Dane Cook and Jerry Seinfeld as they fill the 10,000 square foot room with laughter. Think you have what it takes to be a top comedian? The Gotham Comedy Club offers comedy classes to those that want to be the next big standup comedian. Check out their website to see the schedule of performers and for more information about the club. If you are visiting New York and want to have a fun night out, remember to pass by The Comedy Cellar. This comedy club features some of the best comedy acts in New York City and the edgy performances will surely bring the entertainment you are looking for. The Comedy Cellar is visited by hipsters, bookers and other people involved in the arts field. The club plays several shows per night, every night of the week. Chicago City Limits is the oldest comedy club in New York, having been founded more than 20 years ago. The club will put a smile on any visitor's face as the artists know how to be unique and improvise their act, delivering a great performance. Their National Touring Company show has gained awards thus placing the club at the top of the game. Chicago City Limits features a theater training program for people interested in the arts. The Comedy Village is one of the oldest and most visited comedy clubs in New York City. The Comedy Village is visited daily by people who want to have a good time while watching the performers put on a great show. The club features weekly appearances by famous comedians and celebrities and holds special events on weekends. If you plan on hosting a private event, the club is available for smaller or larger parties. Ha! Comedy Club in New York City is the place to go to on a weekend with your friends. This club is one of the busiest in town but this comes as no surprise considering it is located in the heart of Manhattan. Ha! Comedy Club features 2 showrooms and the shows have a duration of 1.5 hours allowing the audience to fully engage in every performance. You will not have a moment to get bored once you step in! 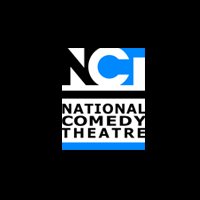 The National Comedy Theatre brings good entertainment to all NYC residents and the company was founded more than 20 years back. The performances consist of 2 teams of comedians competing against each other while involving the audience in the show. This may seem boring but each performance is unique so visitors never watch the same thing twice. The passion shown by the comedians during each show and the fact that all performances are suitable for a young crowd made this club extremely popular. The New York Comedy Club is a popular club with the comedians adding an edge to every performance. This comedy club is well-known for making Chris Rock famous and features different types of shows every night. Latin and African nights take place on a weekly basis and you will not leave disappointed by the humor and crowd interaction all the comedians provide. On Sunday night you can sit back and enjoy performances by new comedians. Any New York City tourist should consider spending a fun night out at a comedy club. A good idea is visiting the popular Stand Up NY comedy club. This club has been open to the public since 1986 and its mission is to discover the best new comedians in NYC. Many entertainers such as Jerry Seinfeld started their careers at Stand Up NY. The club also offers many opportunities to learn, classes and workshops. Comic Strip Live was founded almost 40 years ago and after a period of uncertainty became established as a comedy club in the New York scene. The club helped launch some famous comedians like Eddie Murphy and is always on the search for new talents. Comic Strip Live's daily shows are only suitable for an adult audience and the performances start at 8:30 pm. On weekends, multiple shows take place in one evening. The Upright Citizens Brigade may not be as old as other New York comedy clubs, but it steadily built a reputation ever since its founding year, in 1999. The comedy club offers cutting edge entertainment and good comedy performances for New York City residents and any visitor that passes its gates. The theater has a 150 seat capacity and everyone attending must be at least 18 years old. The Upright Citizens Brigade is often visited by agents and journalists. The Duplex Comedy Club in New York City will offer you good comedy and laughs and the chance to spend an evening in the company of the best NY comedians. The club has outdoor seating for the summer where visitors can relax and grab a drink while enjoying the show. With a piano bar, a gay cabaret and much more, the comedy club is one of the coolest and edgiest in town and is very popular among residents.